Welcome to the Buenavista Family Inn. We want your stay to be a memorable experience. We want you back... and soon. ​S﻿ituated along the Farola-Dardarat county road heading West from the national highway towards the shores of the South China Sea, the Buenavista Family Inn sits in the heart of Barangay Farola. This obscure, tiny fishing enclave, made famous by the small lighthouse "Farola" that stands and looks out onto the sea to warn seafarers, mariners and small boaters of submerged rocks, shoals and dangerous rip currents, is also the landing site of The Belgian Missionaries who founded Saint Augustine's School (SAS). 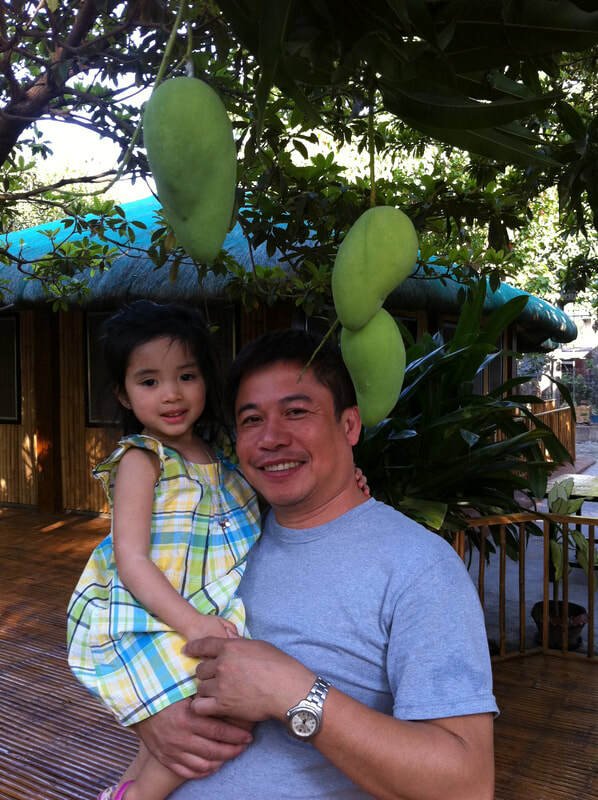 The expansive grounds covering about 5,000 square meters sports Ponderosa Chico trees, giant Santol Bangkok trees, towering mahogany trees, willowy clumps of Panda Bear spiny bamboo, dwarf mango trees, bananas and various flowering plants. The thick green foliage canopy renders the entire facility very cool and airy, well ventilated, shady and breezy. The tranquil surroundings readily lend a feeling of calm and serenity, peace and quiet to your rest and relaxation sojourn, or group conferences-meetings-seminars, or your couple's weekend get-away from the humdrum of city life, or for just a night's stay from the rigors of traveling. Buenavista Family Inn is the perfect choice for vacationers, travelers, and drop-in guests who are looking for quality, comfort and affordability. "For your Relaxation and Rest, Buenavista Family Inn's the best"